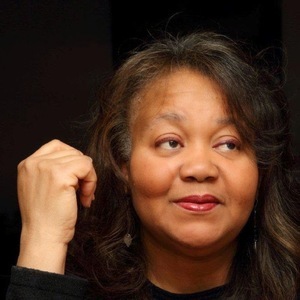 Renee Baker is founder/leader of FAQ (Faith Action Quorum), Mantra Blue Free Orchestra, Red Chai, Wrinkled Linen , Connoisseur Musica String Ensemble (classical), Poemusici (spoken word group), Blanche (experimental orchestra) and the Renee Baker Trio. She has created eclectic chamber festivals for Adler Planetarium, Shedd Aquarium, Norris Cultural Arts Center and Classical Symphony Hall. As a composer, Ms. Baker has composed over 200 compositions ranging string quartets to much larger ensembles. Renee Bakers official entrée into the creative music arena came through invitation to join Nicole Mitchells Black Earth Strings. As a proud new member of the venerable AACM, her musical affiliations have include Nicole Mitchells Black Earth Orchestra, David Boykin Expanse, Orbert Davis w/Strings Attached, Doug Carn, Karl Siegfrieds Galaxy String Quartet, Great Black Music Ensemble (AACM), Chicago Jazz Philharmonic, and Chicago Jazz Orchestra. Ms. Baker has appeared at many venues including Woodland Patterns (WI), Kerrytown Concert House (Mi) Velvet Lounge ( Chicago) Elastic Arts Foundation, Myopic Improv Music Series, Adler Planetarium, Hyde Park Arts Center, MAC (College of DuPage), Hungry Brain, Empty Bottle, Hideout, Heaven Gallery, Jazz Showcase, Green Mill, Columbia College, Gallery 37, Millennium Park, Chicago Cultural Center, Sotish, Spareroom, Cheney Mansion and the South Shore Cultural Center. Ms. Baker was also instrumental in the Feb 2008 opening of the new Arts /Music space Brown Rice which presents cutting edge, creative music performances and experimental artists of vast disciplines, looking to develop and hone their specialties. Her creative/ music influences include Kurt Schwitters, Nicole Mitchell, Terry Riley, David Boykin, Orbert Davis, Josh Abrams, Anthony Braxton, May Sarton, Anne Truitt, Steve Reich, Jackson Pollock, Tony Conrad, Mark Rothko, Coleridge- Taylor Perkinson and Dr. Paul Freeman. Ms. Baker is a published poet and is also a painter/conceptual artist of found objects with pieces in private collections through the US. 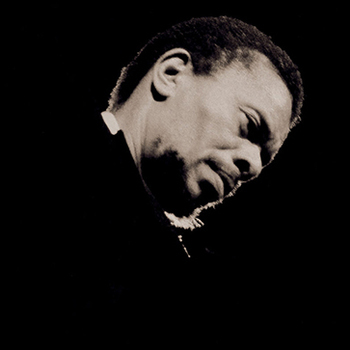 LA Rebellion filmmaker Barbara McCullough’s latest film looks into the life of the once-blacklisted musical genius Horace Tapscott—the consummate musician, community activist, and mentor to generations of jazz artists. Screening followed by a conversation with director Barbara McCullough and composer Renée Baker.